A mutual fund is a type of investment vehicle which collects money from public and invest in different types of securities (bonds, equities). These are professionally managed by a fund manager. The only motto of a mutual fund is to create wealth for its investors. There are various types of mutual funds according to investors needs. Equity mutual funds: these MFs invested mainly in equities. They are further divided into categories based on the market capitalization of the companies. Further classification is like Small Cap, Mid Cap, Large Cap mutual funds. Debt/ Income mutual funds: these MFs invest in corporate securities and government bonds. They are further classified based on different risk categories of bonds in which they invest. Hybrid mutual funds: these are a hybrid type MFs i.e. they invest in both debt and equity instruments. There are classified by according to a percentage of equity and debt. Money Market/ Liquid funds: These are debt mutual funds which invest money in short-term markets investment like government securities, call money, treasury bills. These mfs have the least risk and are usually not volatiles. These mfs invest in securities which have maturity up to 91 days. These are recommended for short-term investors who are looking to park money for short time (30 days- 12 months). An investor can expect better returns than bank fixed deposits. There is no exit load in these funds. Ultra-short liquid funds: These funds are another category of short-term debt funds which invest in debt instruments (same as of Liquid funds) having a maturity greater than 91 days or 3 months. There is greater volatility as compared to Money market/ Liquid funds. The returns delivered by these funds is higher and there is no exit load in these funds. Gilt funds: These are the mutual funds which invest in government bonds and securities. The returns of Guilt funds is linked to repo rate which is set by Reserve Bank of India (RBI). These mfs carries some greater amount of risk as compared to other debt funds and an investor should keep an eye on development by RBI after investing in it. These funds could be volatile sometimes and can deliver fewer returns over a longer time. Other funds: There are some mfs which don’t fit in any of the above categories. ETF (Electonic traded fund) are mutual funds which closely resembles an index like Nifty 50, S&P Sensex 30 etc. There are some sectoral based funds also which invest in sector-based companies. 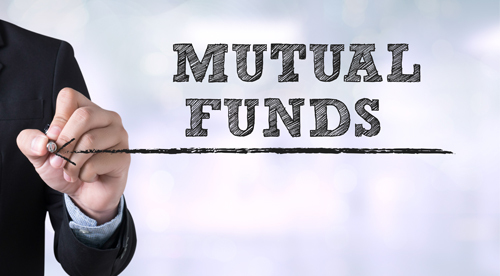 An investor should be careful when selecting a sector-based mfs as some of them are cyclic and may or may not give a decent return in the 3-5 year of the horizon period. According to risk and reward capability of different people, there are a lot of categories of MFs. But unfortunately, most of the categories are created for marketing purposes. Therefore SEBI has directed all AMC to consolidate their schemes. On a broader level, there are above-mentioned categories. Every mutual fund scheme has at least 2 plan such as Growth or Dividend. In dividend plan, an investor gets profit on monthly/quarterly/ half-yearly basis. Generally, Dividend plan is not recommended as your total investment get decreased because of payment of dividends. Dividend in mutual funds and stocks are entirely different. In mutual funds, a part of the invested amount is given back to the investor on regular basis. Which causes the decrease in total invested amount for the investor. Whereas in stocks, a dividend is paid by the company from its profits. Most of the investors buy Regular plans in mutual funds from distributors like ICICI Direct, FundsIndia, ScriptBox etc. These distributors earn their commission based on the amount invested by their customers. After 2013, there exist 2 schemes in every mutual fund plan i.e. Regular and Direct. Most of the investor never know that they can invest in a direct plan of the same mutual fund scheme and earn greater returns. Direct plans offer greater return over a longer duration as there is no commission paid to an intermediary. The amount of commission paid varies from 0.1 to 1% which is directly paid from the profits earned by mutual funds. These commissions are only paid at the time of withdrawal of funds by the investor. So it is better to purchase Direct Mutual Fund plans. As said earlier MFs are professionally managed by a fund manager. They manage the portfolio regularly according to the MFs category and also keep risk rewards under a certain threshold. Sometimes they also hedge the portfolio using derivatives instruments to prevent portfolio from extreme loss. How are Mutual Funds beneficial? As an investor one has not to worry about the fluctuation of the equity and bond markets. An investor can start a SIP (Systematic Investment Plan) and can focus on other important things in his/her career. SIP help an investor to negate the extreme downside and upside in markets. Over a long time (more than 5 years) an investor can create a good amount of wealth for himself/herself. Do you how many wonders are there in the world? 7 right?……….WRONG!!! There are 8 wonders of the world. The 8th one is the Compound Interest. Do you know if you invest for Rs 5,ooo for 25 years and if it is compounded at just 12% per annum, your amount at the end of 25 years will be 1.38 Crs? That is the power of compounding. Billionaire investors like Warren buffet have built his entire wealth at just 20-24% earning compounded annually. If an investor is investing in equity MFs and remained invested over a long time (more than 1year) then there is no capital tax gain on his income. Which MFs one should buy? You can go through ratings given on MoneyControl or Value research. You can also consult a financial advisor regarding your investment goals.